Wow now that is what l call an amazing album that quite frankly left me gobsmacked. 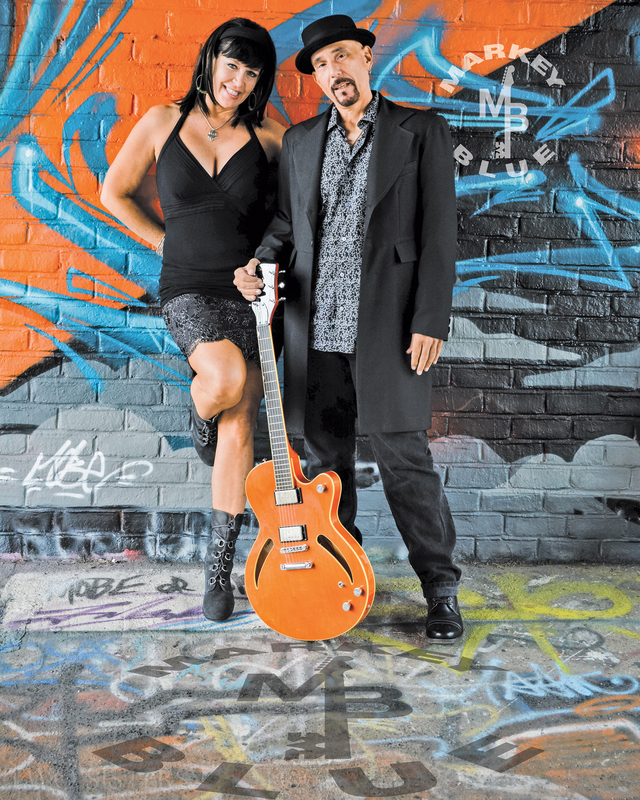 Complex, moody sensuous Blues that are perfectly constructed and the charts are to die for. Latina and Markey as a duo are incredible performers but aside from that obvious observation they are incredible songwriters. Love so much about this album and this will start many a music fan’s foray into Blues music. Congratulations Ric and Markey. 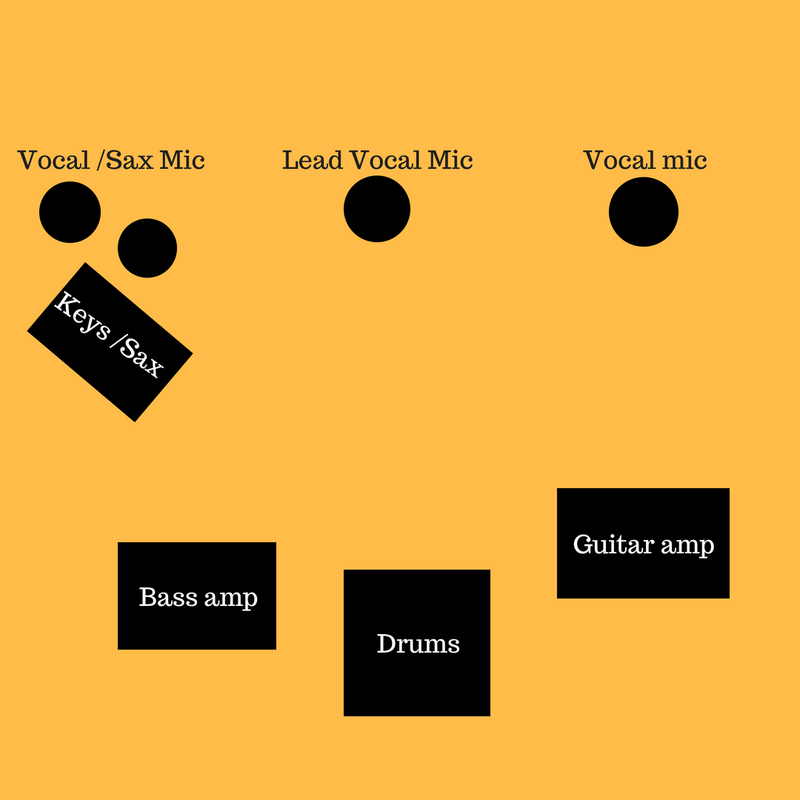 What do you get when you have a great singer, a great band and great songs? A great project. Markey Blue, you have done it! When they hit the stage, the energy and good vibes just don’t stop! Is it tornado season? Because you’re gonna get hit with the Markey Blue Tornado when they take the stage. 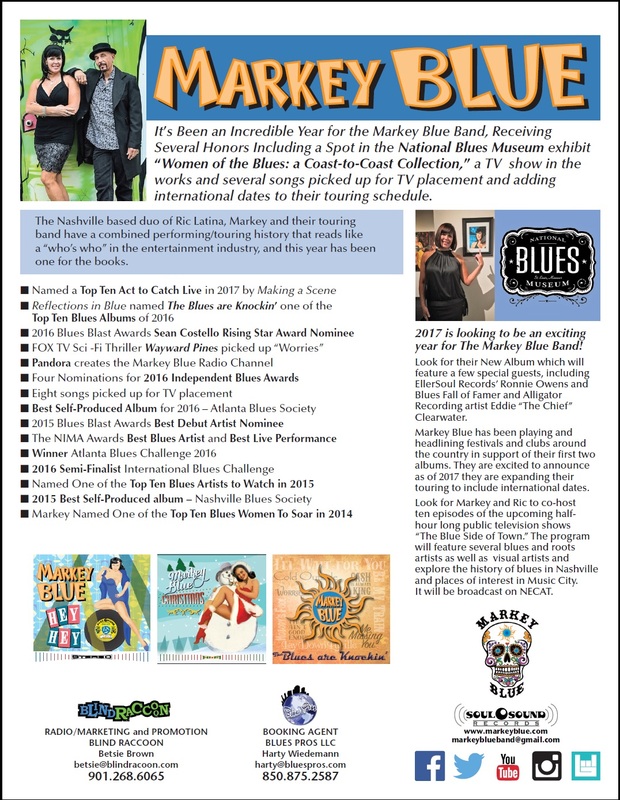 It’s been an Incredible Year for the Markey Blue Ric Latina Project, Receiving Several Honors Including A Spot in the National Blues Museum exhibit “Women of the Blues: a Coast-to -Coast Collection,” a TV show in the works and several songs picked up for TV placement and adding international dates to their touring schedule. 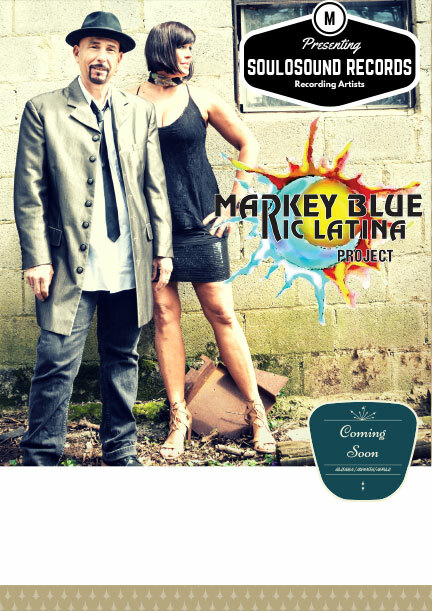 The Nashville based duo of Ric Latina, Markey, and their touring band have a combined performing/touring history that reads like a “who’s who” in the entertainment industry.